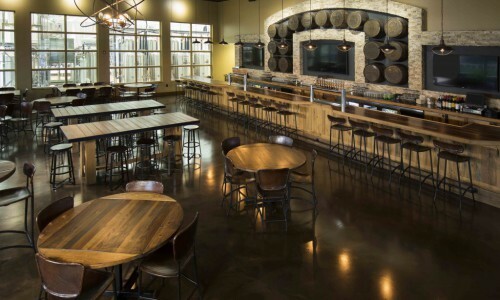 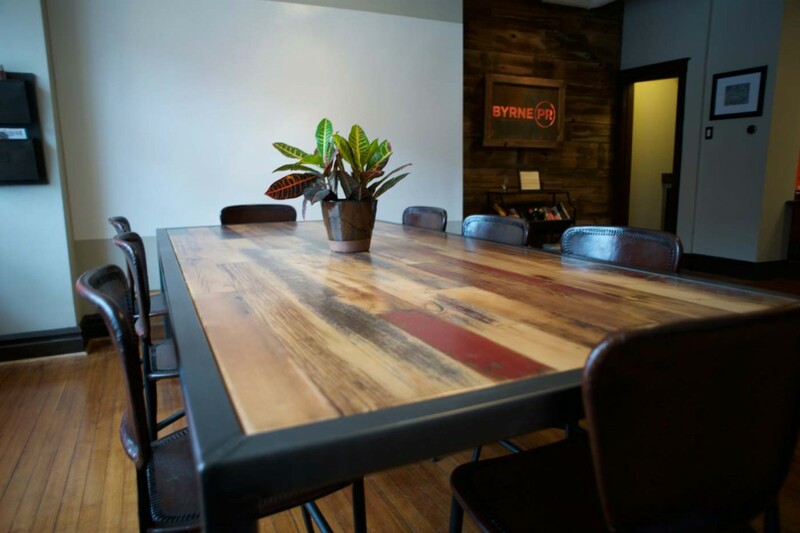 "During our renovation process, we really wanted items that would make our space standout. 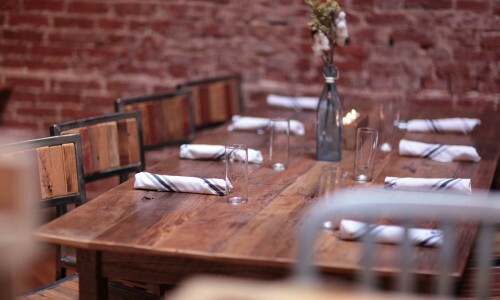 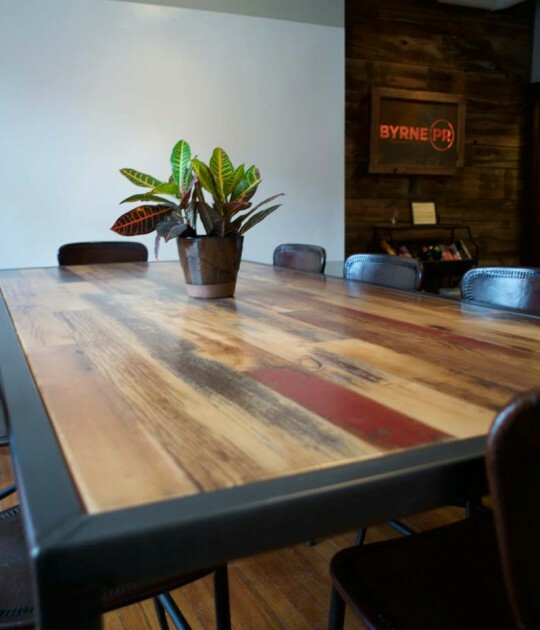 Between our Rustic Grain barn wood accent wall, sign and conference table, we accomplished just that." 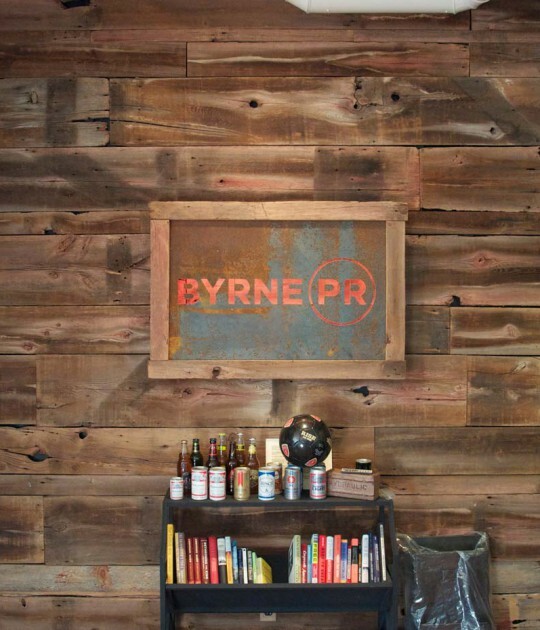 Early in his career, Paul Byrne served as director of Marketing Communications where he was responsible for all communications for all Anheuser-Busch brands. 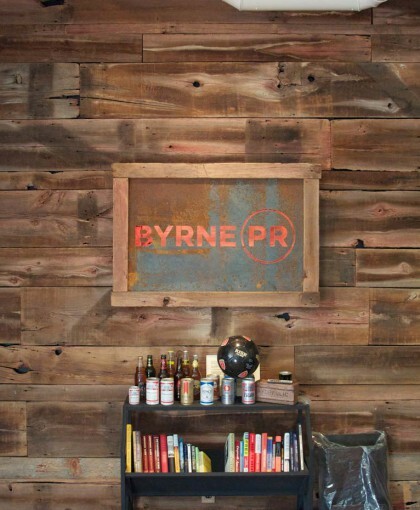 In 2011, Paul left Anheuser-Busch to launch BYRNE PR. 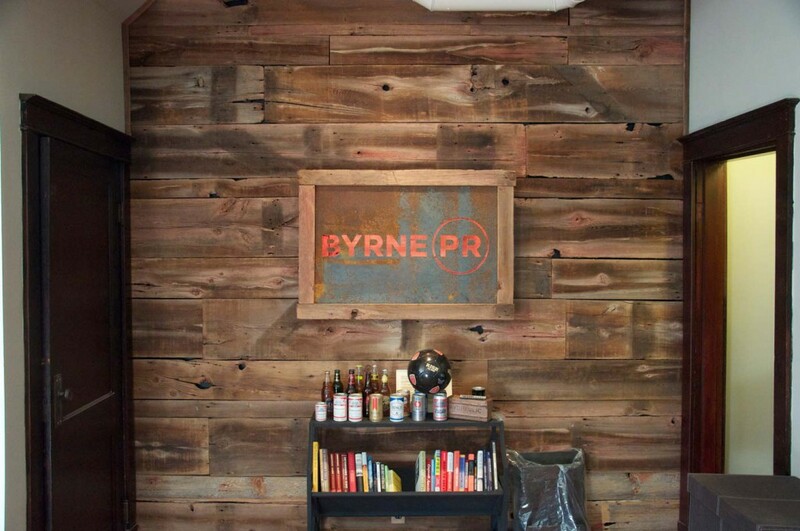 Located at 4337 Manchester Ave in St. Louis, Missouri, Byrne PR provides public relations, media relations, speech writing, crisis management, social media counsel, and brand positioning services to clients through the U.S.
Paul and his team set up shop in an old retail space on Manchester in the “Grove”, a business district located between Vandeventer and Kingshighway in St. Louis. 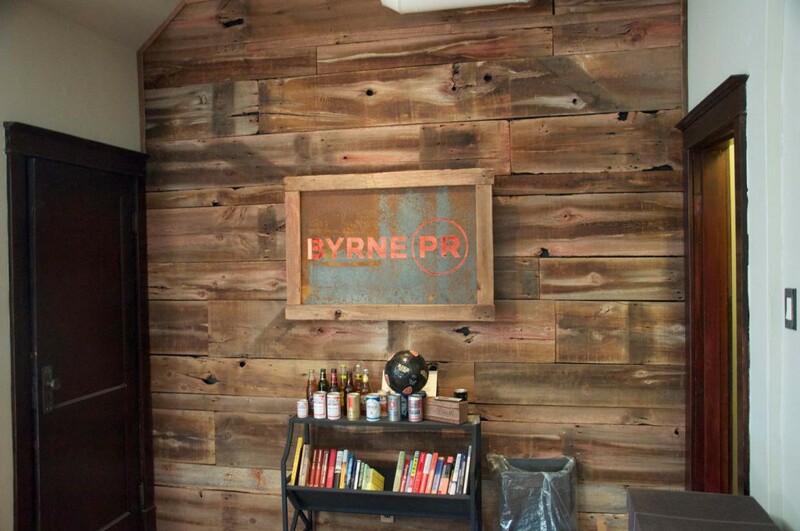 The building itself needed a complete makeover and that’s just what Byrne PR did. 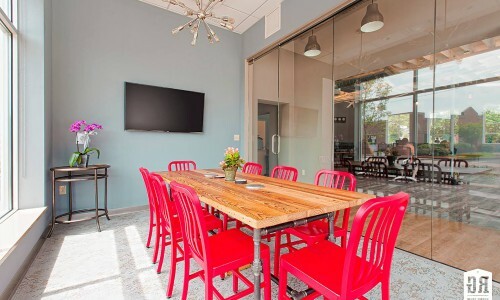 With large glass windows, the space is very warm with the abundance of natural of light. 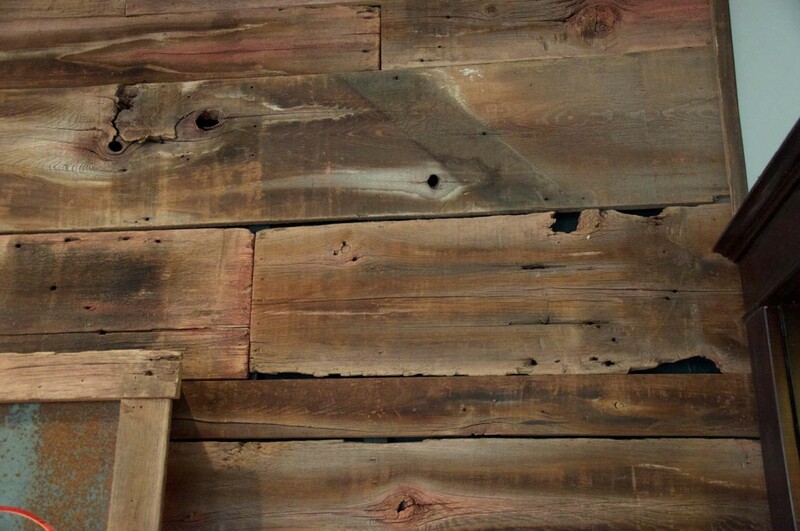 Also, with the ceiling exposed, Pual wanted to add items that would be focal points but also blending the new with old. 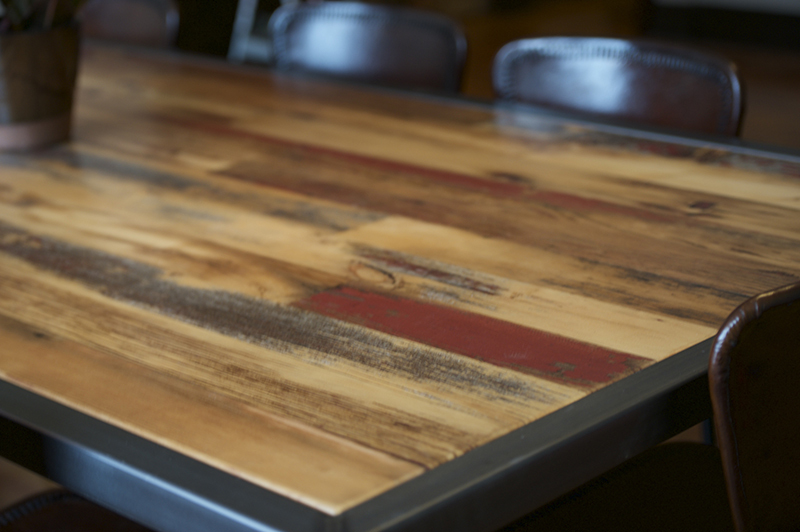 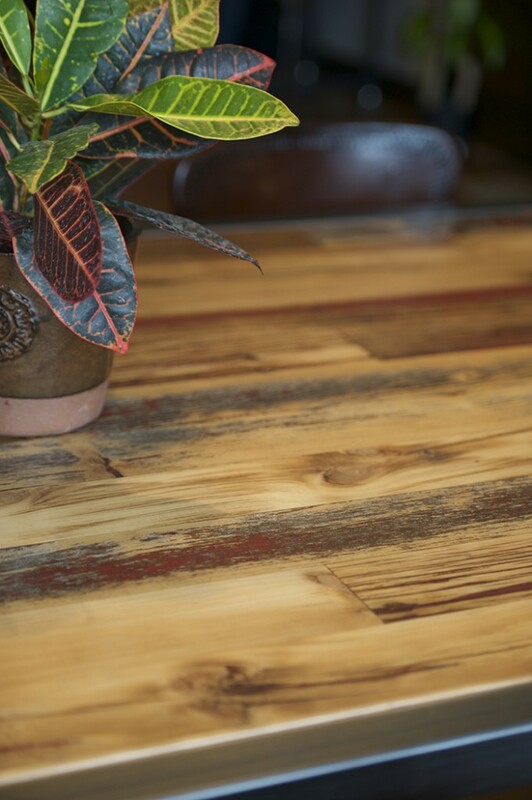 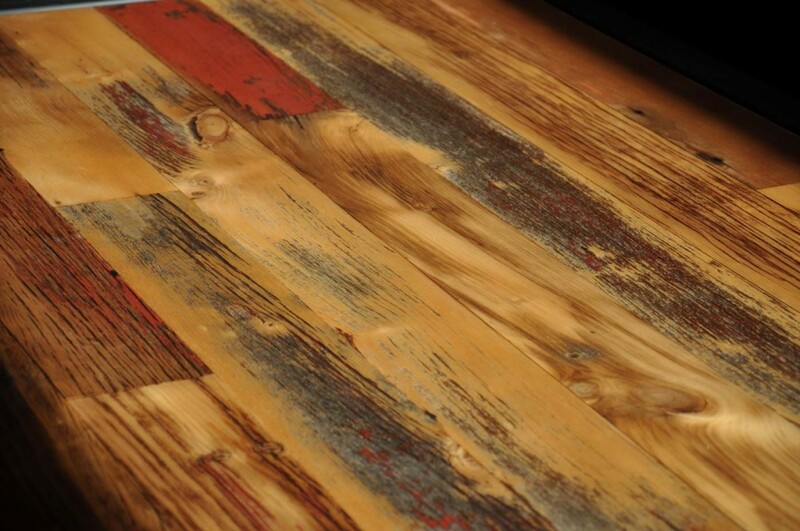 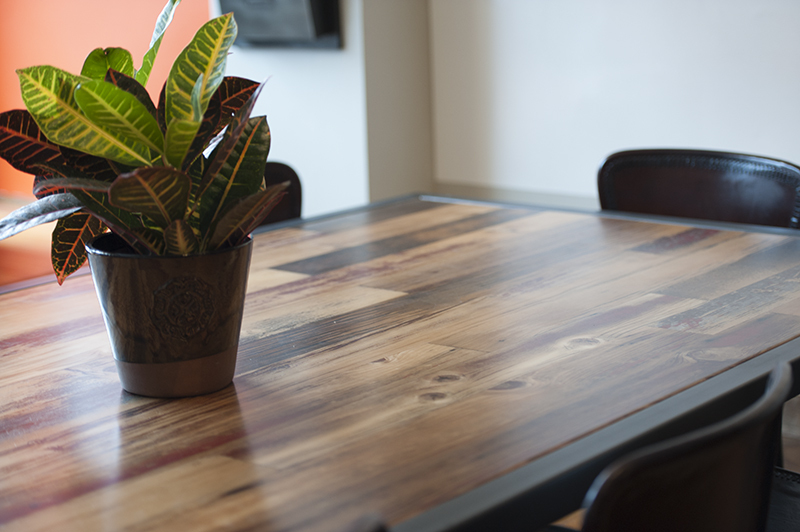 In collaboration with Paul and his team, Rustic Grain decided that the perfect touches would be our very own EADS Collection Steel Base conference table with a custom designed reclaimed wood top and a barn wood accent wall it the roughest state possible. 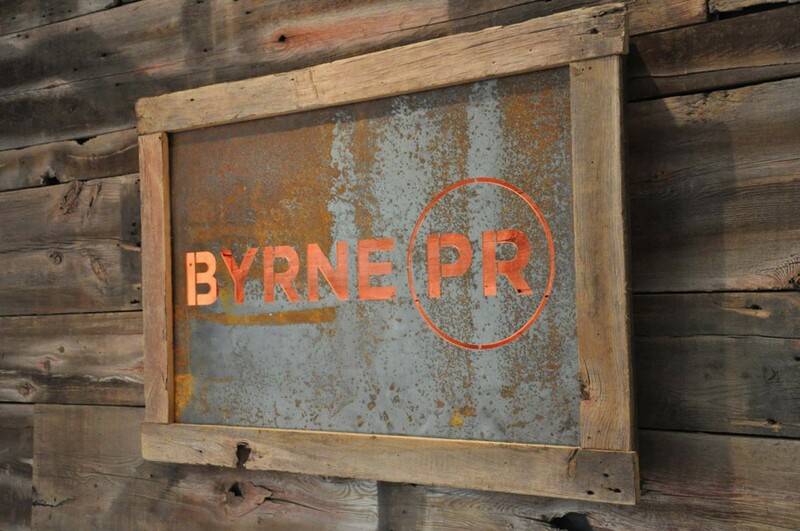 In addition, a to the credit of our client’s creativeness, a steel laser cut sign with the company logo. 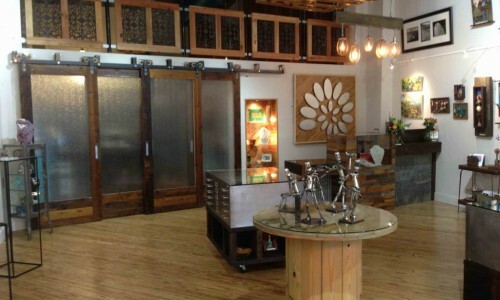 In the end, the space speaks for itself.